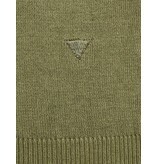 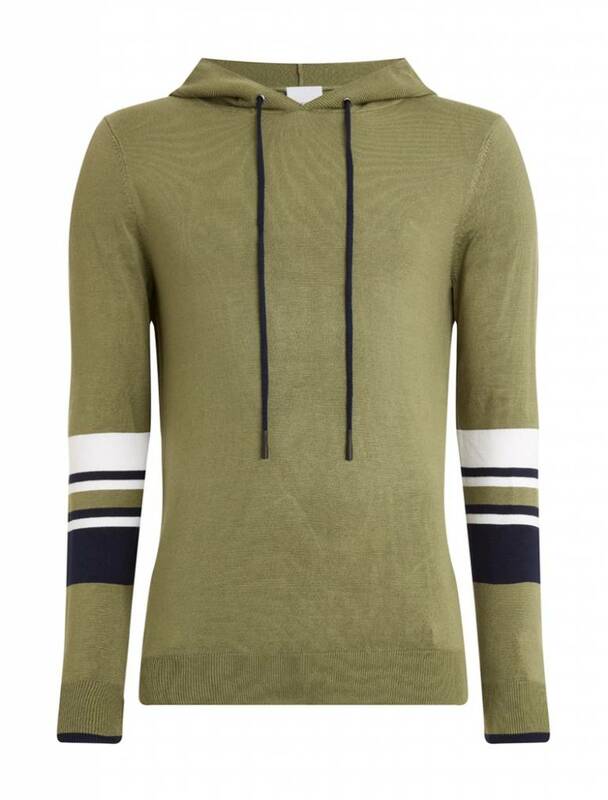 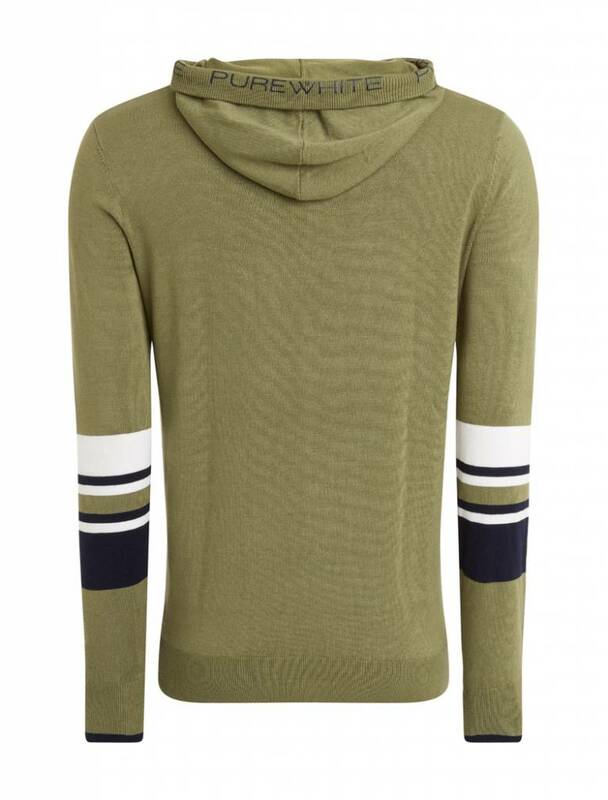 Purewhite men's green knitted striped hoodie. 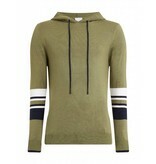 This Purewhite hoodie has a soft finishing with a slim fit. 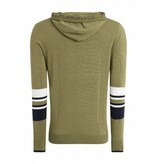 This hoodie is detailed with navy and white stripes on both sleeves. 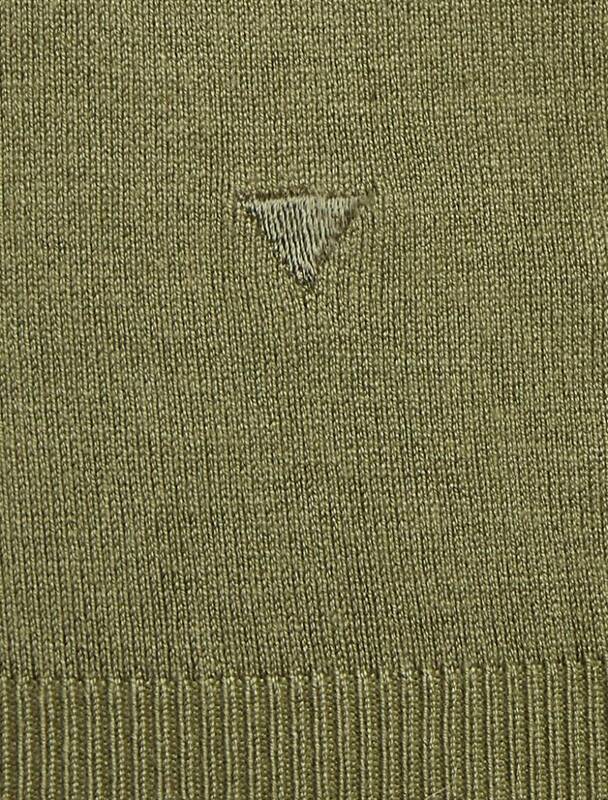 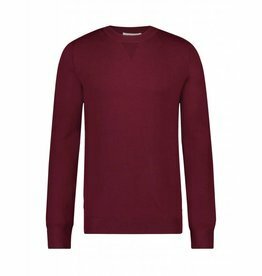 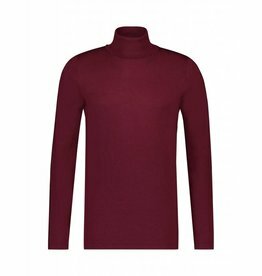 This hoodie comes with a drawsting hoodie featured a triangle brandmark embroidery on the left side.